Looking For a Great Deal On A Great Home? We've Got It Here! Get the best deal on your next home before it ever goes on the market. All types of homes available, super low prices. Complete this form and you'll immediately be added to our Homebuyers Hot List. 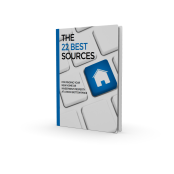 Gain instant access to the best deals AND we'll deliver our new FREE report direct to your inbox. Our company buys, sells, and rents homes. We will not be acting as your real estate agent or broker if we buy your house, offer you a house deal, or rent you a home. We are excited to potentially work with you directly. We are focused on improving neighborhoods and redeveloping areas that we work in. If you have additional questions on agencies please contact your local real estate commission. © Big Ben Homes All Rights Reserved. Complete this form and you'll immediately be added to our Homebuyers Hot List. Gain instant access to the best deals AND we'll deliver my new FREE report direct to your inbox.